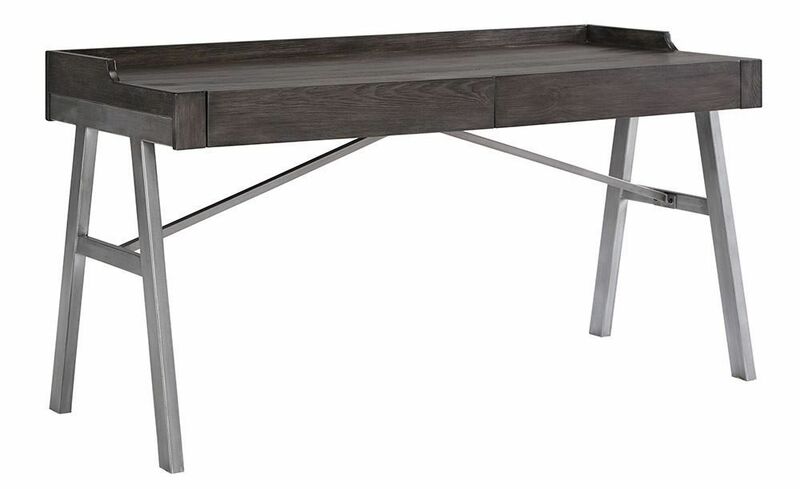 Easy on the eyes and delightfully stylish, the Ravenwood Home Office Desk features pine veneers over engineered wood and finished in a grayish brown coloration. Casually cool with crisp, clean lines, this piece features plenty of space for you to store away all your office essentials. Incorporate this stylish piece into your home office today! Consider pairing this delightful desk with the Ravenwood Large Bookcase or the Ravenwood Medium Bookcase. Your dream home office awaits! 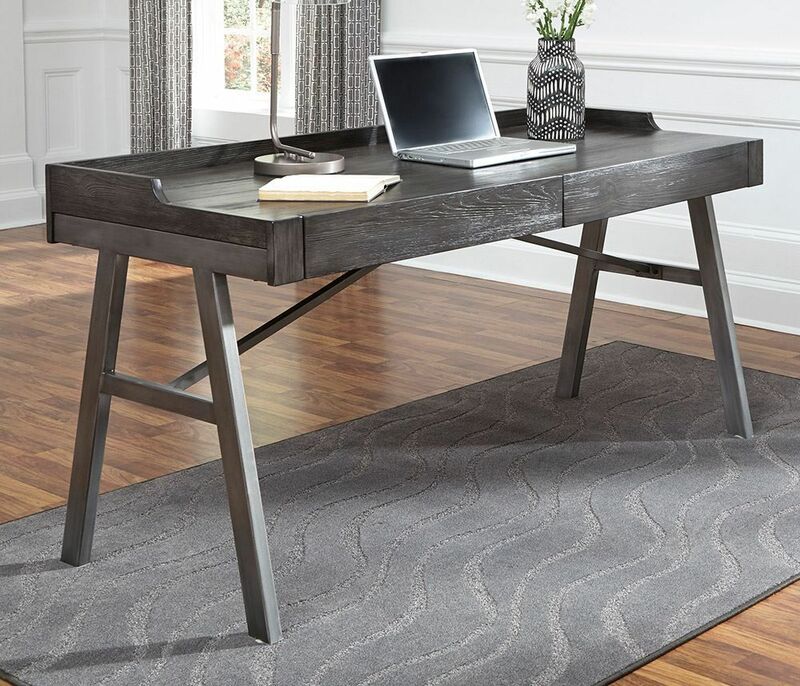 Easy on the eyes and delightfully stylish, the Ravenwood Home Office Desk features pine veneers over engineered wood and finished in a grayish brown coloration. Desk can attach to medium or large bookcase.